Magic making in the Greek Islands, where caldera meets the Aegean sea. Yoga, sailing, vineyards, to-die-for meals and breath-taking beaches. 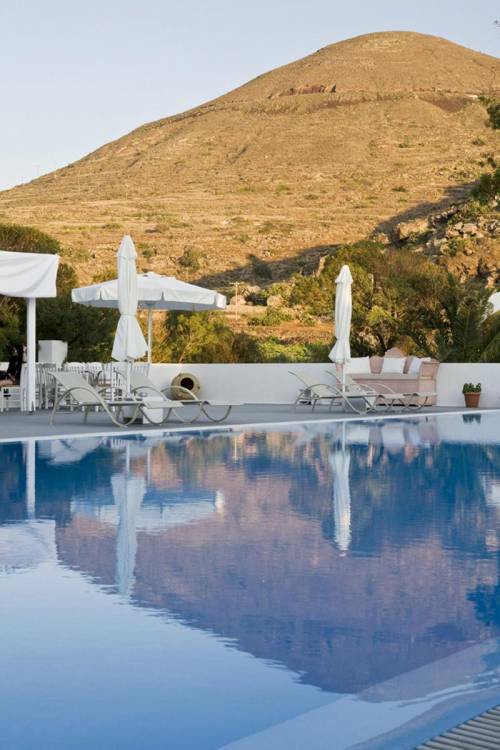 The combination of the rugged landscaped (shaped by a volcanic eruption thousands of years ago) the white-washed dwellings clinging to the cliffs of the caldera and the sparkling crystal blue Aegean Sea have always made me swoon. We are staying a short taxi ride from the center of Oia village, one of the principle towns of the island, close to the action but far enough to offer a quiet and peaceful setting for yoga and relaxation. And we are just a short walk from the most beautiful beach of Oia. The hotel itself is situated among vineyards and gardens where you will find beauty and calmness, the perfect setting for our retreat. You will be fed organic, locally grown cuisine. 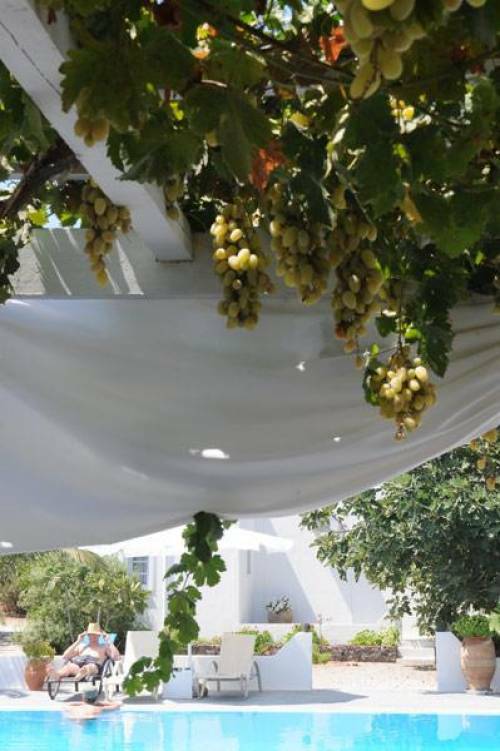 Enjoy wide range of traditional Greek dishes with produce from the hotel's own gardens. Yoga will be offered twice daily on a covered, open air platform nestled in gardens of our hotel. This retreat will include daily breakfast and brunch as well as most dinners*. Also included are two special day trips, a sailing tour of the island with stops at hot springs and incredible beaches ending with dinner on board, and vineyard tour and wine tasting. *Two dinners are not included in the package price. One of the highlights of Santorini are its amazing restaurants. We've intentionally left two evenings free for you to be able to have a full taste of all the island has to offer. 25 people maximum. Flights are not included in this price and will range from $700-1000. More details will be given for flights upon booking the retreat.